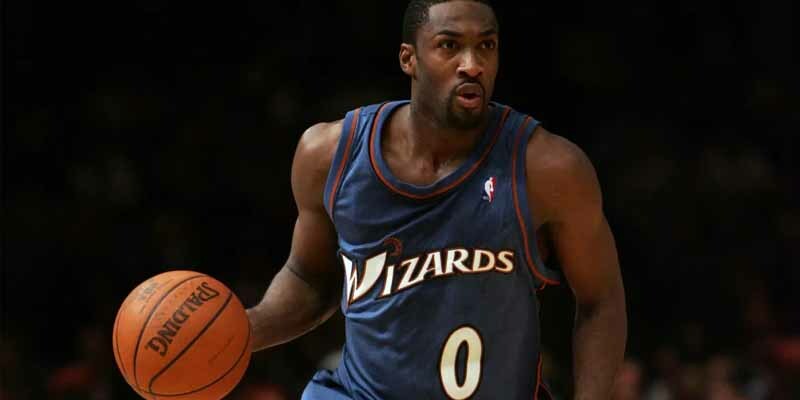 It’s a shame that Gilbert Arenas is now mostly known for the gun incident because he was one of the best on-court gunners in Wizards’ history. He averaged 29.3 points and 6.1 assists in 2005–2006. In all his Wizards seasons packed together he averaged 25 points, 5.7 assists and 1.8 steals. His accolades include 3x All Star, 3x All-NBA, 2002–03 Most Improved. In his rookie year with the Warriors he averaged 10.9 points and 3.7 assists. The next season when he won most improved player he averaged 18.3 points and 6.3 assists.